Matt joined the Active Rehabilitation team in 2017, as part of the weekend physiotherapy team providing inpatient services at Mater Private Hospital. He has developed interests in the field of orthopaedic and post-surgical physiotherapy. Matt graduated from the University of Queensland with a Bachelor of Physiotherapy, receiving First Class Honours. Throughout the degree, he was awarded multiple Dean’s Commendation Awards for Academic Excellence. During the final year of his studies, he completed an Honours Research project investigating the activity of hip musculature. Matt presented this research at the 2016 Sports Medicine Australia Conference held at the Melbourne Cricket Ground, where it was shortlisted for an award. 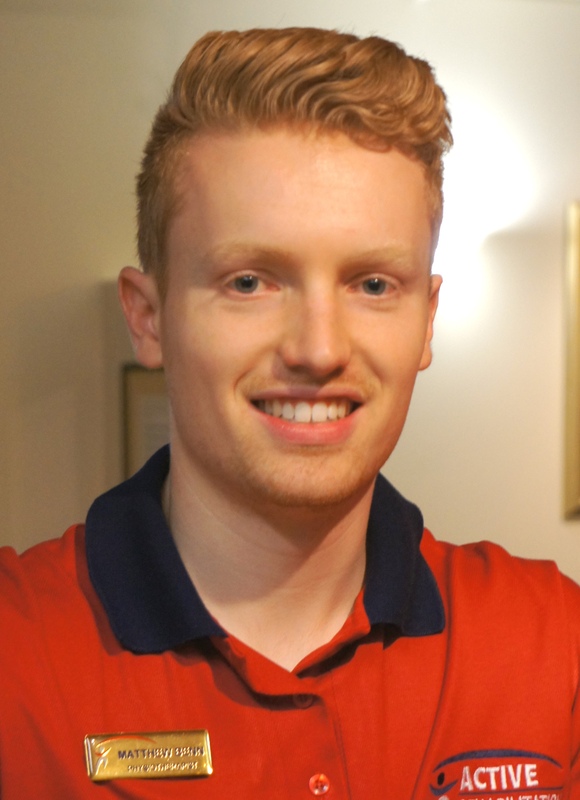 In addition to his physiotherapy studies, Matt also worked as an anatomy demonstrator at the University of Queensland for 3 years. In 2017, Matt commenced studying a Doctor of Medicine on the Bond University. In the future he hopes to combine physiotherapy and medical skills to specialise in the area of orthopaedics or sports medicine. When he’s not working or studying, Matt is passionate about maintaining an active and healthy lifestyle. He enjoys playing soccer both competitively and socially with mates. Matt also has a keen interest in snowboarding, and has travelled to the ski fields of Switzerland, New Zealand, Canada and Japan in recent years.